High-yield debt has already proven to be one of the best-performing asset classes in fixed income this year, led by CCC rated bonds that have so far returned just over 6 percent, Bloomberg Barclays index data show. Junk bonds and speculative risk taking go hand in hand with stock market gains. With that thought, let's discuss take a look at bond ratings to see what's delivering the gains. 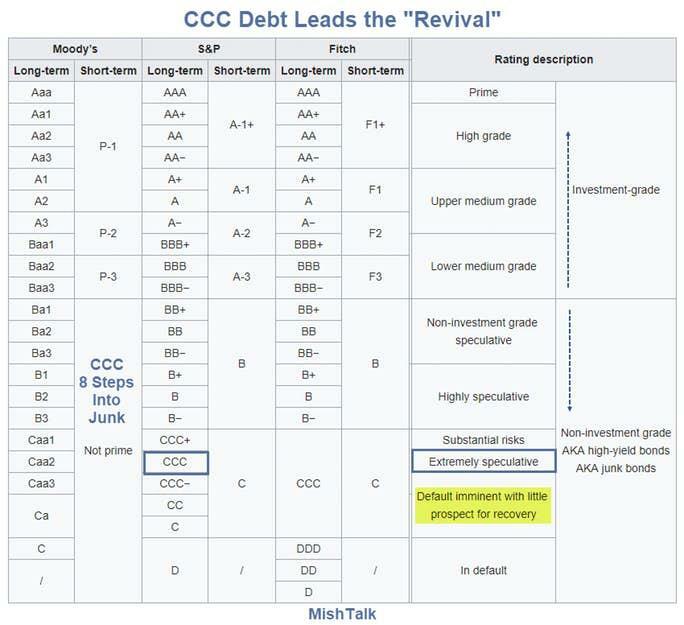 CCC rated "garbage" one or two steps above "default imminent" is leading the rally. What's Powell going to do for an encore? Buy junk bonds?